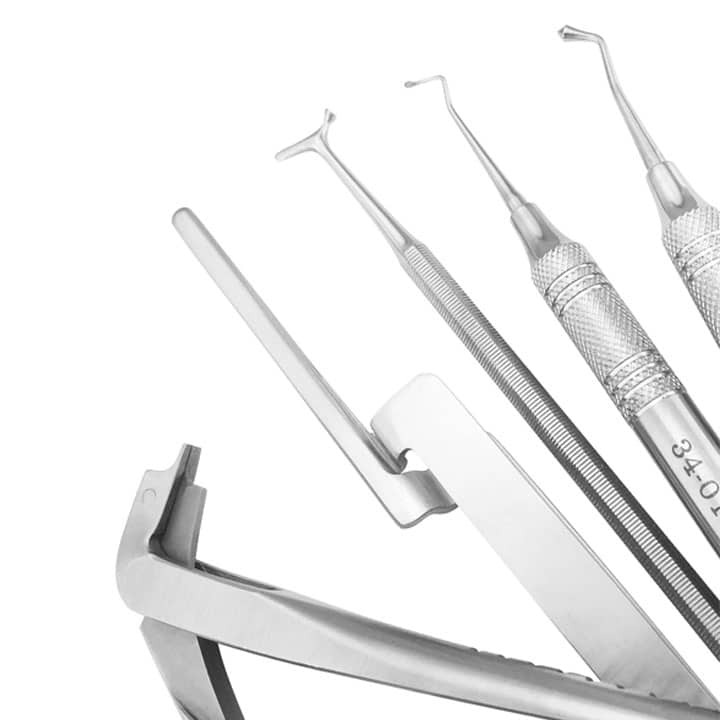 All things diagnostic, all in one place. 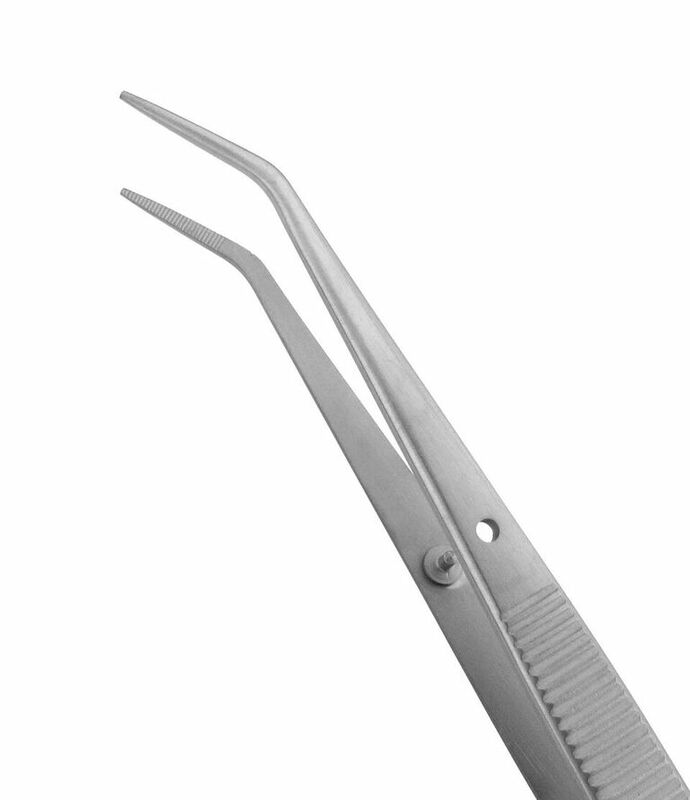 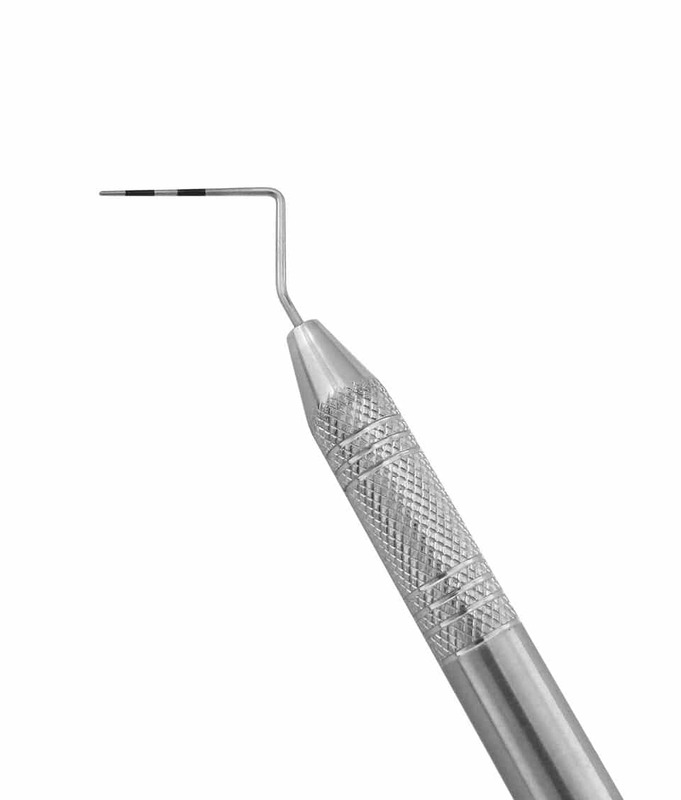 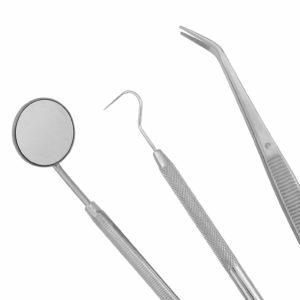 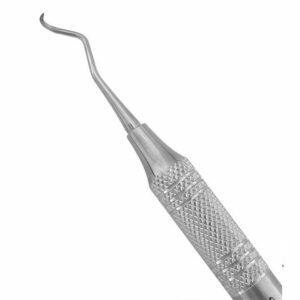 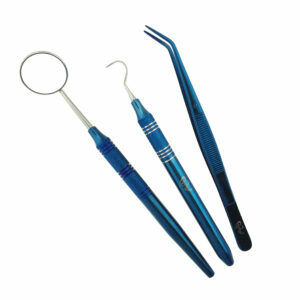 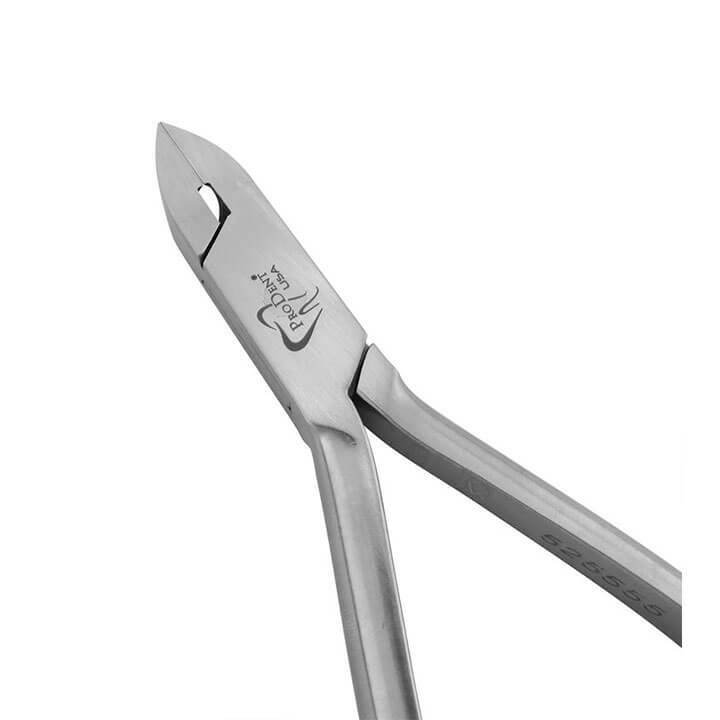 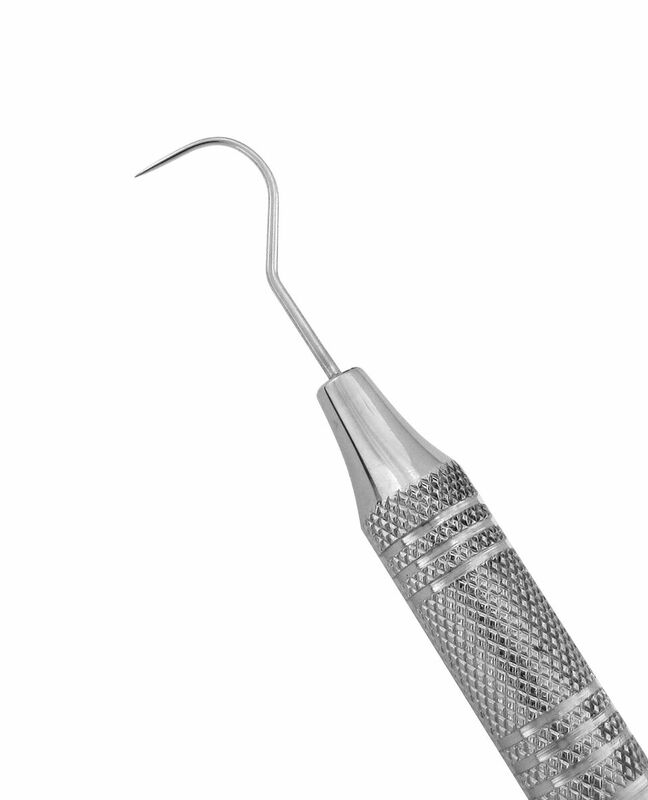 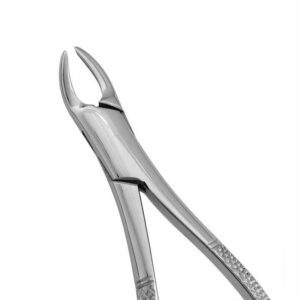 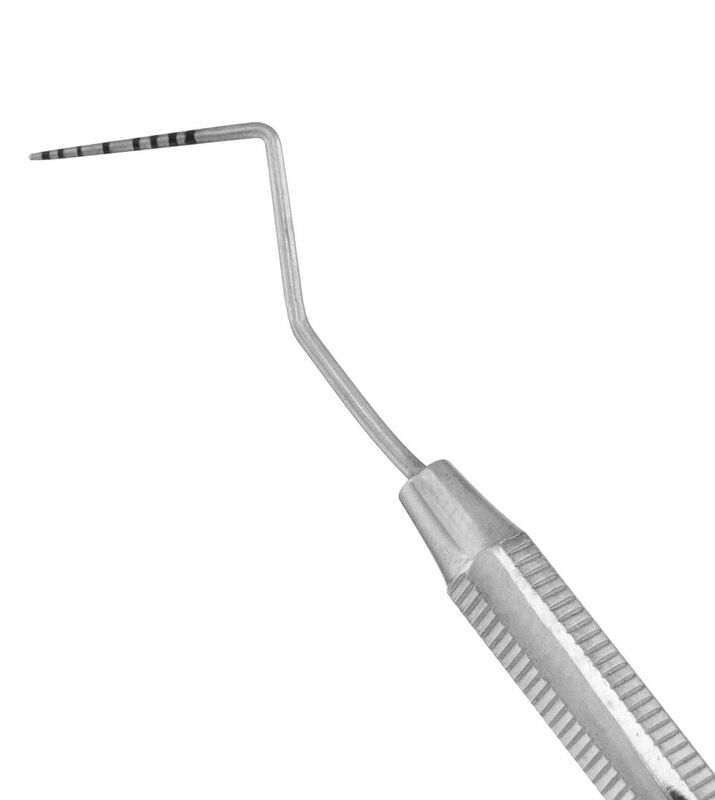 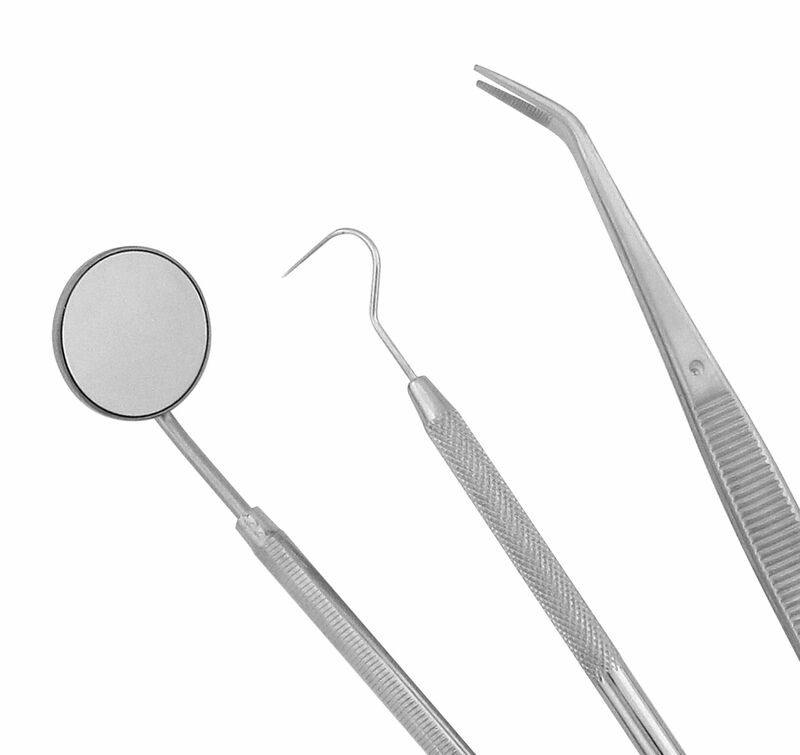 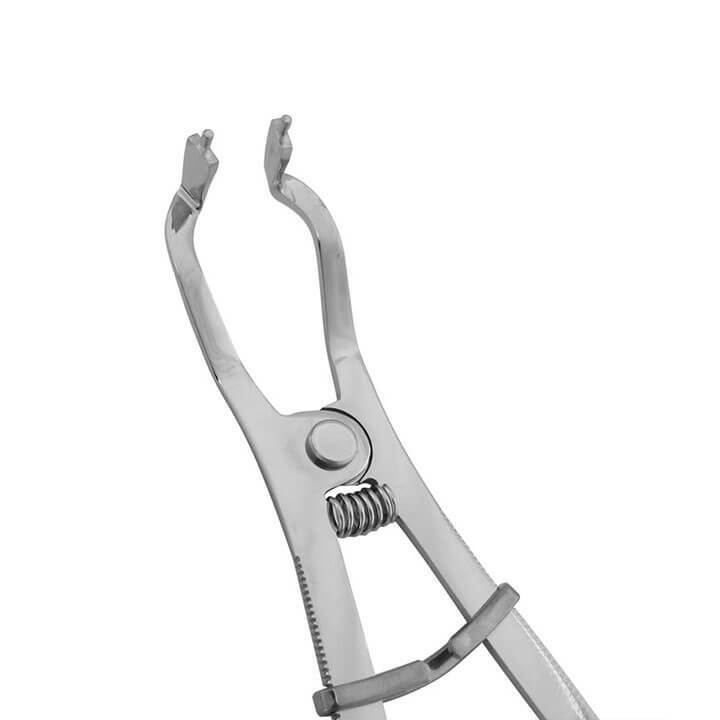 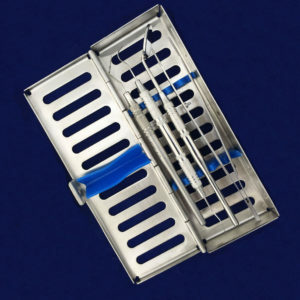 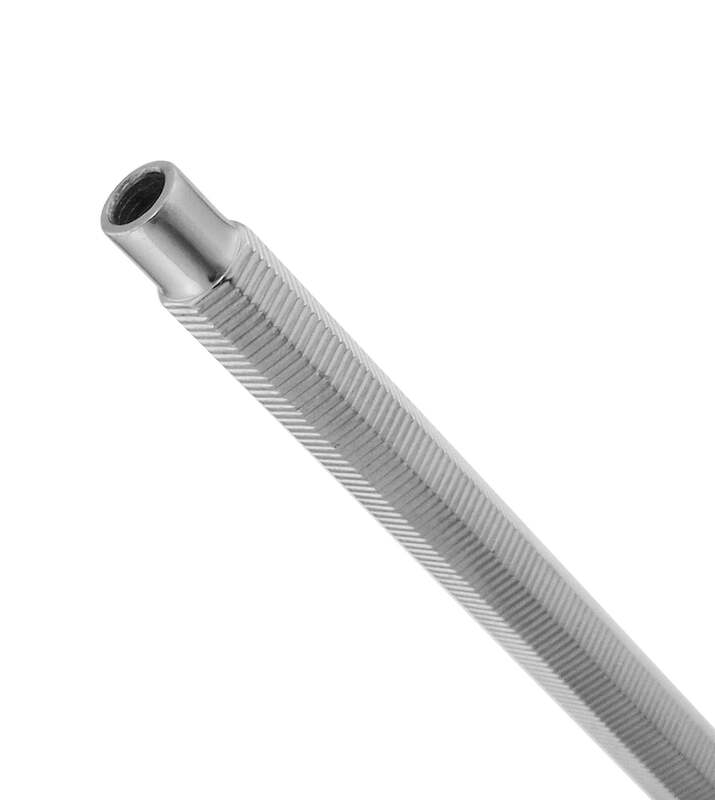 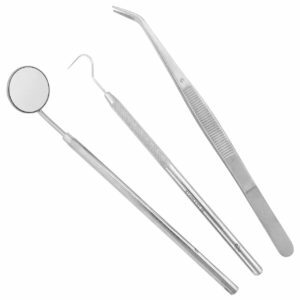 Our go-to instruments are efficiently assembled in sleek sets for your convenience. 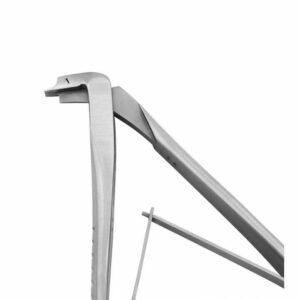 Chain with clips is used to hold bib in place around patient’s neck during dental procedure. 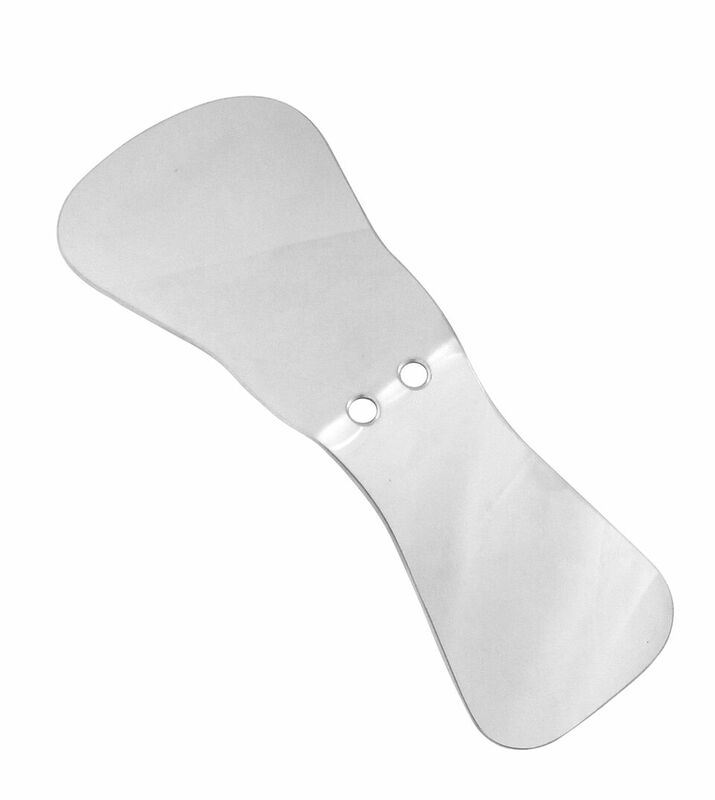 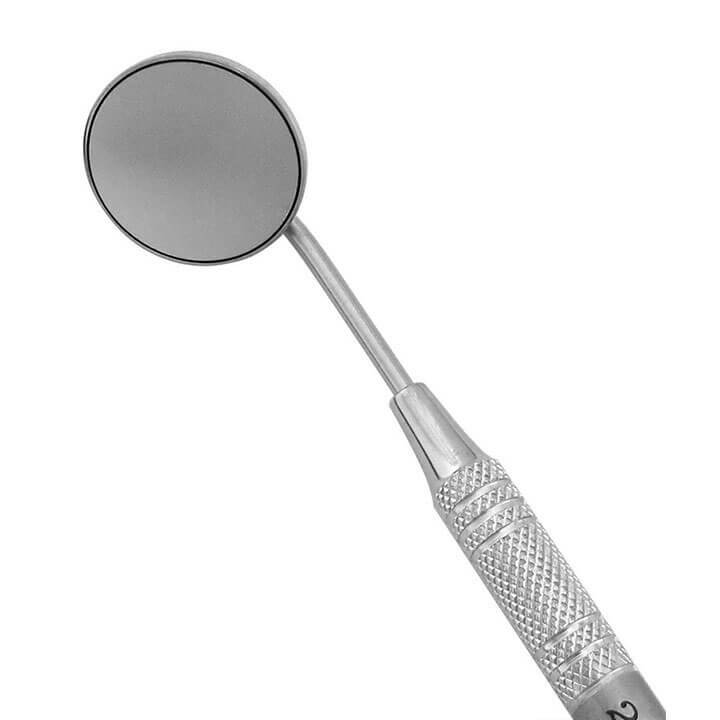 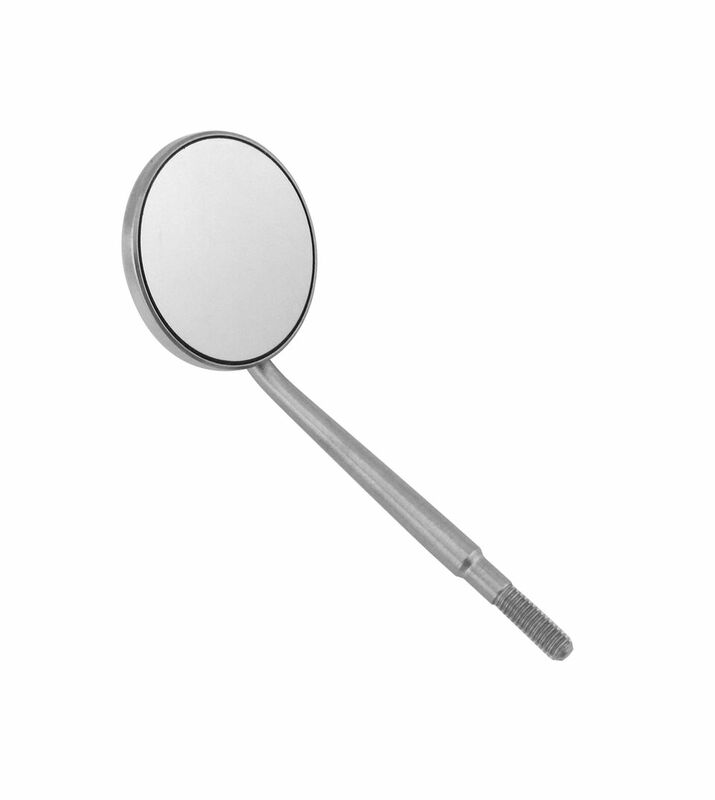 Includes explorer #23 in H5 hollow handle, college pliers, and H5 cone socket mirror handle with mirror.